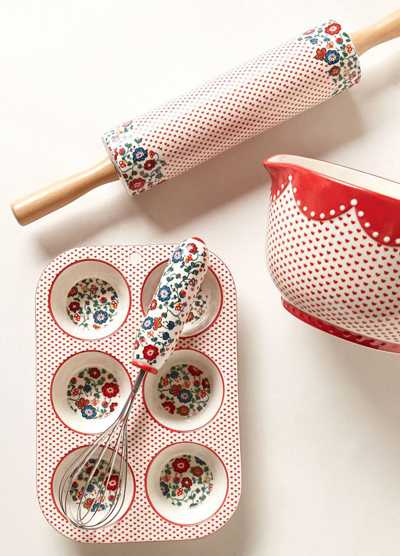 The Filomena Baking Collection features patterned hearts and pretty blooms that lend vintage appeal to sturdy stoneware. $16-$36. Buy here.